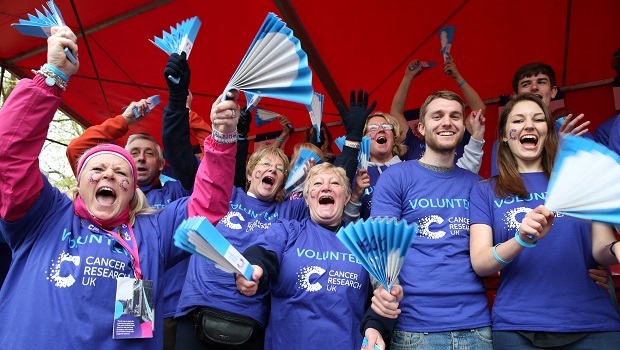 If you have your own place for this year's event, click the link below to kick start your fundraising and join our team. 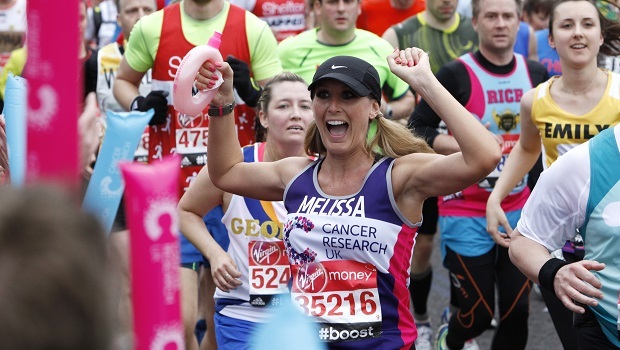 Join our team at the Virgin Money London Marathon and make a huge difference. Whether a marathon is your natural next step, or the thought of 26.2 miles seems like an impossible mission, the buzz around this event is like no other. 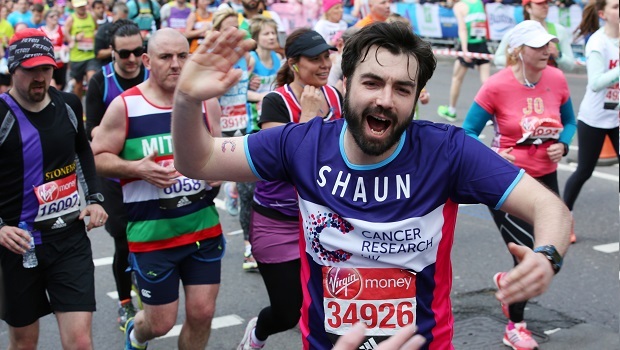 With thousands of people lining the roads to scream your name and our unique race day hospitality, the Virgin Money London Marathon really is an experience that will live with you forever. We'll support you all the way to that famous finish line. Before the race, we'll be on hand with training and fundraising tips, we’ll provide our branded running top, and hold training days run by our professional coaching team. On race weekend, we'll have amazing cheer teams along the route, as well as a much deserved massage and post-race party overlooking the finish line on the Mall. We'll make sure it's a day you'll remember forever. We’re running to bring forward the day when all cancers are cured. Your support really can help us save lives. Apply for a charity place before 31st July. We’ll review applications in August and let you know the outcome of your application in September. If you get a place we ask you to raise a minimum of £2000, and in return we’ll offer you an exceptional experience including your very own fundraising contact. 2019 ballot will open on Monday 30th April, and will close at 5pm on Friday 4th May 2018. Ballot results are then announced at the end of September. When entering you can choose which charities you’d like to hear from – we’d love you to choose us! Follow us on Facebook or Twitter to keep updated on all our activity on the big day. Running for Cancer Research UK? Using one of our fundraising pages is quick, easy and free. And it means that more of the money you raise online goes towards beating cancer sooner. We've teamed up with the experts to give you the very best training support and advice for your event. Raising money for your marathon can be fun and easy – check out our top tips to hit your fundraising target. Our pack includes a banner, clapper boards, cheering sticks, balloons, tattoos and running sacks. To get yours, email supporter.services@cancer.org.uk or call 0300 123 5461. Get in touch with any questions or concerns.